Bestselling author of Thin Tastes Better, Dr. Stephen Gullo lets you in on his unique program that has a success rate almost 15 times higher than the national average and has helped patients lose more than 100 pounds and maintain the weight loss for more than 5 years. At Dr. Gullo's Institute for Health and Weight Sciences in New York City, patients wait up to 6 months for an appointment and pay over $1,000 an hour for the secrets he imparts in this book. Dr. Gullo's program, incorporating his more than 25 years of clinical experience, features The Ten Thin Commandments that govern all eating habits and his easy-to-follow "ABC Diet" plan. 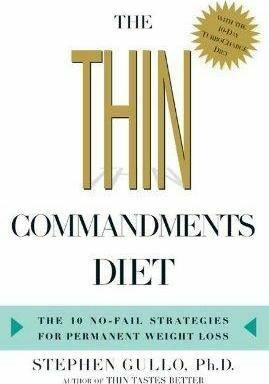 In Part One, Dr. Gullo shares his Thin Commandments, including: o Think historically, not just calorically-identify trigger foods that can undermine weight loss o Slips should teach you, not defeat you-uncover the "24-hour secret" and never gain weight from bingeing again o Success is about substitution, not denial-discover the 10 most common diet-busting foods and their satisfying substitutes In Part Two, Dr. Gullo outlines his simple ABC Diet plan. He takes the guesswork out of dieting and offers a three-step program, which begins with a 10-day turbocharge plan that helps melt away pounds quickly and easily. The ABC Diet is complete with menu plans and shopping lists.